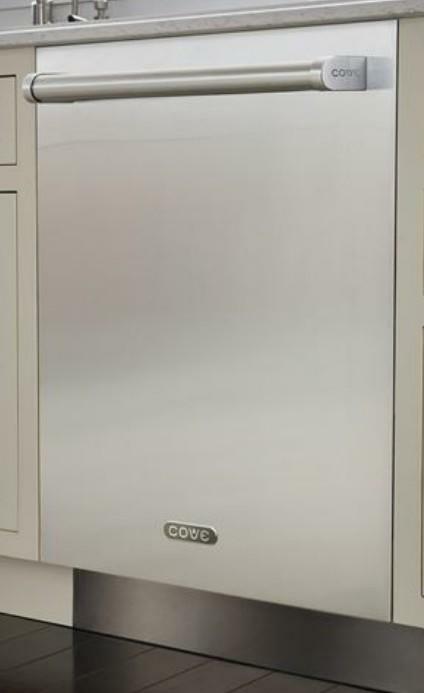 Home Brands The Cove Sub-Zero Dishwasher Series, Are You Ready? You’ve been dying to redo your kitchen, and you only want Sub-Zero appliances. But, because there’s no Sub-Zero dishwasher, you’ve been putting the project off. Well, wait no more! The Sub-Zero Cove dishwasher line will launch in 2019. Is a high-end dishwasher worth the high price tag? How well does it actually wash dishes? How much can I fit inside? But I Can’t Wait That Long! Why Did We Pick These Brands? 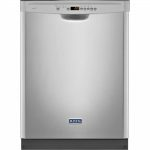 With the long-awaited addition of a dishwasher to the Sub-Zero lineup, the new Cove Sub-Zero dishwasher line will allow you to outfit your kitchen with only Sub-Zero appliances. No more mixing and matching brands and hoping everything looks like a coordinated set. Will it be everything we're hoping for? The Sub-Zero name has a strong reputation for building stylish, quality products. Sub-Zero appliances are designed to last up to 20 years, 10 years more than the industry average. The family-owned company in Madison, Wisconsin, is considered a pioneer in the concepts of built-in refrigerators and customizable panel fronts. While nothing is guaranteed, the Sub-Zero name and reputation have a higher resale value than other brands, making it a sought-after brand among homeowners and professional chefs alike. Being nervous about dropping a large amount of money on a dishwasher is understandable. For some people, the price of a Sub-Zero dishwasher (or any high-end dishwasher brand) is more than what they paid for their car! While you might think paying more for a dishwasher guarantees it’s a better product, that’s not always the case. There are some things that high-end dishwashers don’t do any better than an average or even low-price dishwasher. So, how do you buy a dishwasher, anyway? It turns out there are a few key factors to consider, no matter what your price range. Dishwashers list their sound level by decibel. The sound level is how loud the dishwasher sounds while it’s running. The lower the decibel level, the quieter the machine will be. A higher decibel level means you might hear it running no matter where you are in the house. Dishwasher manufacturers create a quiet dishwasher in different ways. The company might use two motors instead of one. Some companies build their motors with special parts that are supposed to be quieter than average motor parts. A dishwasher with a stainless steel interior will dampen the sound of the water spraying during the wash cycle. 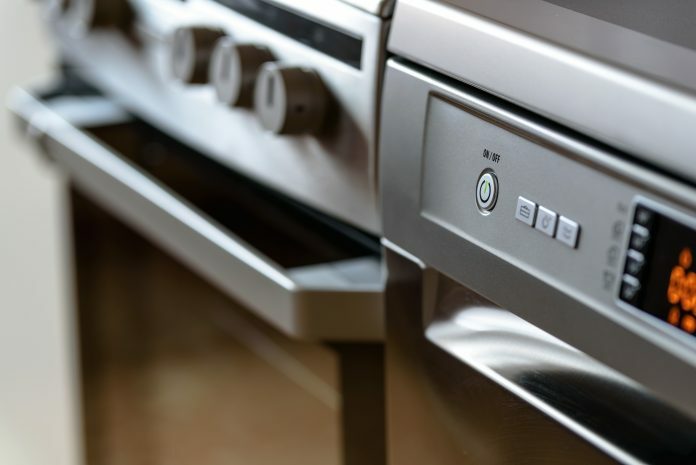 Most dishwashers also have insulation on the outside of the machine, but the quality of the insulation will affect how well it dampens the sound. Dropping more money on a dishwasher doesn’t guarantee that your dishes will come out cleaner. While almost any dishwasher should get your dishes clean, some dishwashers will clean them better than others. However, the price is not a predictor of how thoroughly the dishwasher cleans your dishes. To make any dishwasher a more effective cleaning machine, make sure to scrape and rinse the dishes before loading them in the dishwasher. That will go a long way toward getting clean dishes in every wash cycle. The more you pay for a dishwasher, the more you can customize it. You can have a more expensive dishwasher crafted with your choice of handles or different colored fronts. For example, you can get a panel that matches your custom cabinetry for some Sub-Zero dishwasher models. There will also be a difference in control buttons. 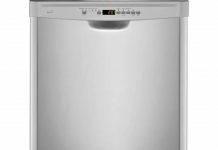 In a higher-end dishwasher, you’ll find more touch buttons than actual buttons, and those buttons will be smoothly integrated into the front panel or even on top of the door for a cleaner look. 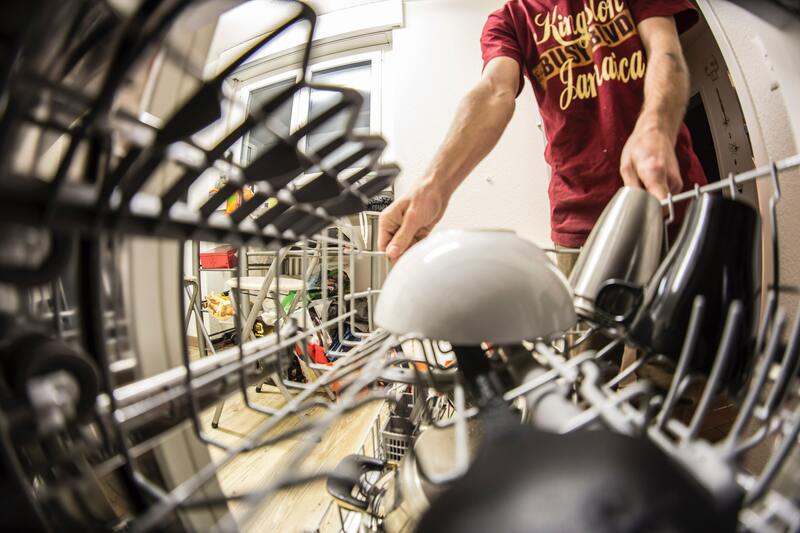 In general, higher-end dishwashers have more flexible racks. Some of them offer adjustable racks so you can place it exactly where you want in the dishwasher. Others offer flexibility within the rack, allowing you to adjust the tines to create a custom fit for each wash cycle. 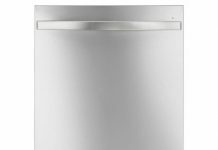 You can even find high-end dishwashers with third racks or racks that you can place in multiple locations in the dishwasher. Available in 2019, Cove Sub-Zero dishwashers use Sub-Zero and Wolf parts, knowledge, and engineering. Cove Sub-Zero dishwashers are customizable and adaptable, letting you get the perfect wash experience with every cycle. 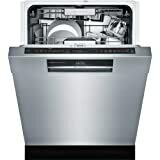 The new Cove dishwasher line will offer two Sub-Zero dishwasher models in the initial product launch. It took the company almost ten years to design the new Sub-Zero dishwasher. They interviewed consumers to make sure the Sub-Zero dishwasher the company created was functional and usable by everyone. For example, one of the biggest complaints Sub-Zero heard was that no one knows how to load a dishwasher. So, the Sub-Zero dishwasher is built to accommodate whatever dishes you load into it. Instead of you having to play Tetris to try to make your dishes fit, you can adjust the racks to whatever configuration you need. Another common complaint is that while dishes are clean at the end of the wash cycle, they are never completely dry. The Sub-Zero dishwasher is carefully designed to ensure that not only do you have clean dishes, you have dry dishes. The racks and tines angle so your dishes so that the water runs off of them easily, helping them dry faster. 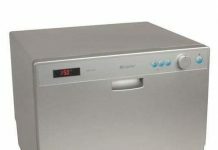 The Cove Sub-Zero dishwasher model DW2450 will cost between $1,900 to $2,150. You will be able to create a custom look with this dishwasher by swapping out the front panel for any color or cabinet front you choose. With 3 spray arms, 43 jets, and a 4-stage filtration system, your dishes will sparkle. To ensure the cleanest dishes every time, you will be able to select custom wash and dry cycles. The interior will feature not only a bright LED light but a height-adjustable middle rack. You will also be able to fold down the tines on any rack to create a custom fit for your dishes. The other model, the DW2450WS, will have all of the same features as the DW2450. However, it will also have a built-in water softener to reduce spots on your dishes. Additionally, you will be able to select how much salt to use with each wash cycle. This Sub-Zero dishwasher will cost between $2,000 and $2,250. Well, the dishwasher isn’t out yet, so there are no user reviews. However, Sub-Zero’s excellent reputation precedes it. But, if that’s not enough to convince you, Sub-Zero will offer a 5-year warranty on the Cove dishwashers. If you have your Sub-Zero dishwasher installed by a factory-certified installer, you can extend that warranty six years. If you can’t wait until 2019 to buy a Sub-Zero dishwasher, don’t worry. You have many options. There are several brands out there with reputations equal to Sub-Zero. More importantly, you won’t have to wait to buy your dishwasher. These brands are available today. We picked these comparison brands based on several factors. Looking at dishwashers that are at a similar price point to the Sub-Zeros, we examined the available features. While no two dishwashers are alike, these recommendations all offer similar features. Keep in mind, finding customer reviews on dishwashers at this price point is difficult as most of the time, the brand reputation is all the purchaser needs. If there are user reviews, we’ve included them in our recommendations. This dishwasher from Bosch uses two small, brushless motors to create one of the quietest dishwashers on the market. The third rack folds down, allowing you to load more dishes and in more flexible configurations. It has a built-in water softening system. The dishwasher also has a half-load option for dishes that aren’t too dirty and can be washed without using a full load of water. On the company website, the dishwasher has a 4.7 out of 5.0 stars review with most reviewers saying the machine is worth the price tag. For the Bosch Benchmark, you will pay between $1,600 and $1,900. For the Bosch Benchmark, you will pay between $1,600 and $1,900. Instead of calling their dishwasher a dishwasher, Fisher & Paykel call it a DishDrawer. As you might expect, it looks a bit different from your standard dishwasher. Instead of one compartment, there are two drawer-style compartments. 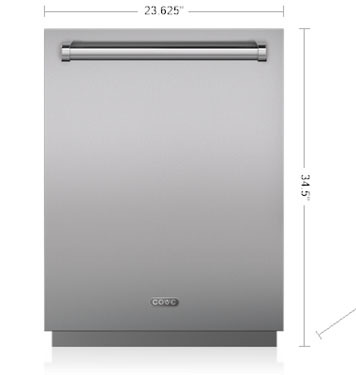 In fact, this double tall DishDrawer dishwasher actually consists of two individual drawers sold as a set. It has a built-in water softener and flexible racks. The two dish drawers are independent, allowing you to do a true half-load of dishes in one dish drawer, or two different loads with different wash cycles at the same time. You will pay between $1,000 and $1,200 for a double set of DishDrawers. Unfortunately, there are no customer reviews yet. Fully Integrated Dishwasher Star Speed. This dishwasher by Thermador has six interior lights that shine in blue or white light. If your hands are full or dirty, you can open this dishwasher with either a push or a pull of the handle. The variable racks allow you to reconfigure the racks to meet your needs. With special glass and hand wash cycles, you can now clean all of your delicate glassware in the dishwasher. The Star Speed cycle lets you wash a full load of dishes in 20 minutes while the StarDry system ensures your dishes are totally dry when the wash cycle is complete. You can expect to pay between $1,600 and $1,900 for this dishwasher. This dishwasher is another one that is hard to find customer reviews for. However, it does have two Amazon reviews, one giving it 5.0 out of 5.0 stars and one giving it 1.0 out of 5.0 stars. The one-star rating was because of delivery issues, not problems with the dishwasher. You can expect to pay between $1,600 and $1,900 for this dishwasher. The Viking VDB301SS dishwasher has a built-in water softener system. The three wash arms include sensors that create variable water pressure that adjusts based on the load you are washing. An additional spray arm on the lower level uses extra water pressure for extra dirty dishes. The adjustable racks allow you to load extra tall or extra wide dishes. And, a turbo-dry fan ensures your dishes are completely dry after every wash cycle. For this model dishwasher, you can expect to pay between $1,400 and $1,700. We could not find any customer reviews for the Viking dishwasher. For this model dishwasher, you can expect to pay between $1,600 and $1,900. 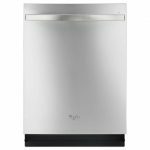 Miele G4976 SCVi SF stainless steel dishwasher is rated 4.0 out of 5.0 stars by ABT customers. The flexible racks can be reconfigured to accommodate all of your flatware in one load and make sure it gets clean. It boasts bottle holders so you can safely clean vases and other delicate, hard to wash items in your dishwasher. The special glassware cycle ensures your glasses come out spotless and a half-load cycle lets you use less water for less-dirty dishes. Four LED interior lights let you easily see inside the dishwasher tub. And, at the end of the cycle, the dishwasher will automatically unlock. Clearly, purchasing a Sub-Zero dishwasher can be a significant investment. And, because it’s not even on the market yet, the jury is still out on how good (or bad) of a dishwasher it is. Of course, with the Sub-Zero name and reputation, it’s likely to be a better-than-average product and probably well worth the money. But, we will all have to wait to find out. 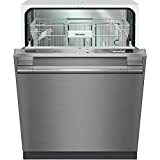 Check back in 2019 for our full Cove Sub-Zero dishwasher review.